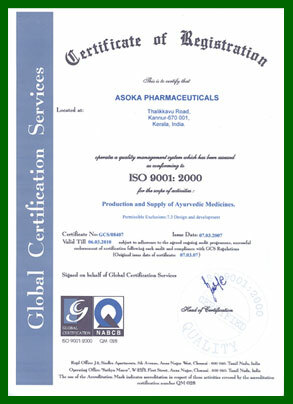 In 2001 Asoka Pharmaceuticals has been awarded with G.M.P. 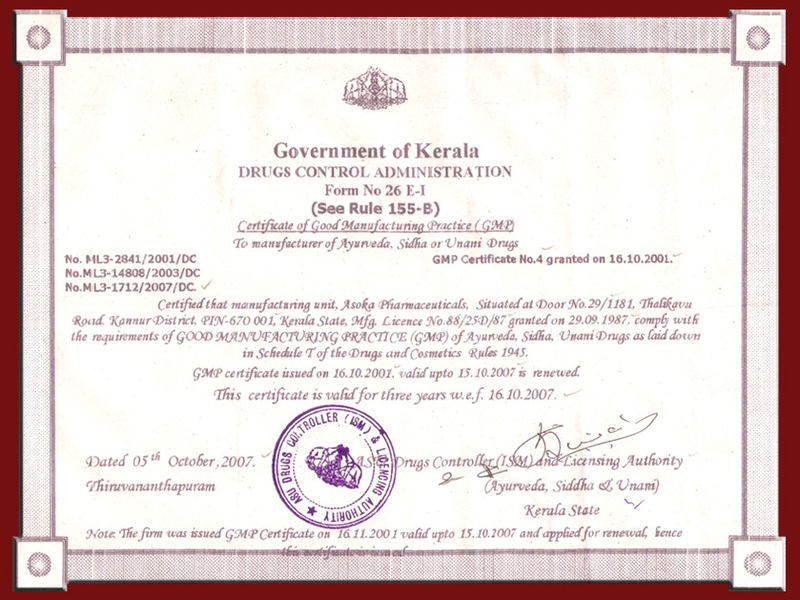 (Good Manufacturing Practice) Certification from the Drugs Controller, Kerala. 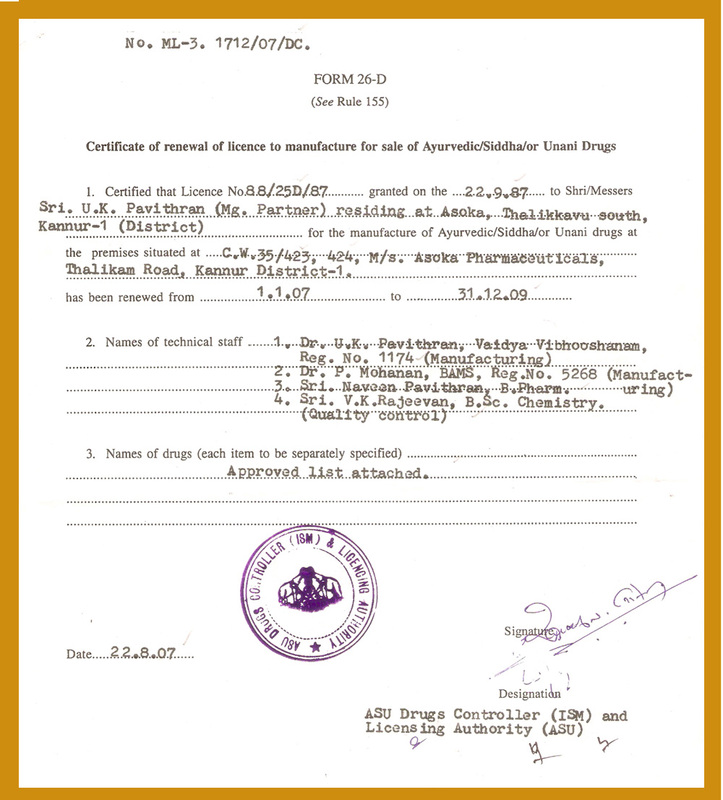 Being the first company in Malabar and the fourth in the state we are among the earliest to have adopted the GMP Standards for the manufacturing of Ayurvedic Pharmaceuticals. 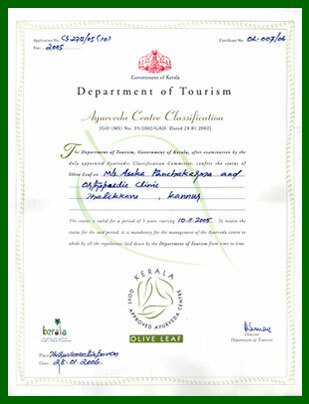 Our Ayurvedic Treatment Centre, ASOKA PANCHAKARMA CENTRE has been awarded with Olive Leaf Certification from the Department of Tourism, Government of Kerala.